Let me say it in good words.. Months back , I read something like this – Winning is not everything , wanting to win is! It was just the first month of 2013 ; I had many plans for 2013 ; mostly I am good at making plans and following them too; but result – I wish that was under anyone’s control. So, when I started blogging , I never thought of going viral ,being famous ; I just wanted to let my thoughts wander in a calm, composed and elegant way in this big world ; I wanted to talk about things in good words , I wanted to share different stories and idea from my own journey ,and believed at times , a picture could express better than 100 words! And that’s how all started. A journey of pens and pixels . A Journey of words and worldly wonders! Last evening , I was stunned and so happy after finding Trifecta’s result. My post Memory : The Deity with a Notebook is Trifecta Writing Challenge winner this week. It was huge. First time , I won something in the world of blogging. Two weeks back when my post Organic Heart was a runner up , I called my parents to share the news. I feared if they would love my poem , still , because world changes when we grow up! They loved , while creating the usual vibe : ” Women have to write more ; I see hardly any woman in Man Booker Prize List every year” – That’s how my dad talks ; that’s how I was raised ; pretty soon ,I will tell that special tale. I saw my name and work printed many years ago ; my poetry lover mom was my inspiration. I was in 7th grade when I started writing articles and poems for state level newspapers . Then life happened. In the world of Science and Technology, I hardly had time to talk Arts. One thing about time , I can say – there is never “enough time ” to do things you want to do. Time is like a rubber band , you have to use your strength to stretch it longer! Somehow in my mind , my day never ends within 24 hours ; I make it 25 to do things I love. 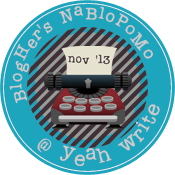 When I found fellow bloggers writing for YeahWrite , I did not want to enter into another competitive world [ Already there’s enough competition in a corporate life , in family life , in social circle ]. Some people convert words to diamonds and they let them shine so effortlessly that you get scared of that radiance! I am not afraid of words ; I love them ; I love words of all four languages that I know , read , listen and speak fluently. Words are stronger than any weapons , more precious than anything . But , I was scared of success and failure – two things that keep me away from my many goals and targets . The first one is fleeting and the last one is life-changing. And to accept any new change in life , one needs more time frame .I had none left! Also , I never had any formal education of Arts and Literature even though I read two new fictions every month ! I am from the world of computer languages [ the ones that do not follow human emotions ,just follow the logical mind! ], statistics , excel sheets , emails , mathematics, logic ,analysis . But one good part about human beings – if we try hard , no logic or mathematical calculation can convert us to a robot. As long as five senses work , we can continue feeling inside while revealing inner feelings to outside world. So, this is how the imagery I create gets published on my blog. I see the world everyday , feel it when something touches the heart , listen to world’s silent saga , observe things that anyone hardly observes , understand while storing experiences and later extract them on a writing pad. Inside us , there exist a million of unexpressed thoughts , worries , happiness that want to come out every second. When we write , it’s a challenge to give thoughts a proper shape. My best critic told me once that I should limit my word counts because this is a busy generation. No one has time to read lengthy things anymore. I never knew limiting word count was so tough until I started trying . And then I found Trifecta. I tried to express my unending thoughts and imaginations in 33 words. And ever since I started , my confidence level raised. Inditing in 33 words – is something I look forward to every week! During academic years ,I loved playing with words. I stored words in my mind and used them at unusual places ; I, along with my parents, went through so many words in the dictionary just to find rare names for close people’s newborns. My name was also a result of my parent’s love for good words ; It is very rare and in Sanskrit , it means “the one who is worshiped” ; I am not sure why , but it kept me unique and identifiable [and famous] in schools , college , work place. There was no other Archita within 10 miles [ or within 10 years of history] of where I was ; and I believe that’s the power of a good word – it makes anything stand out! Good thoughts , idea , imagination , expressed in good words can change any prejudiced perception and that’s how imaginations change into a story , fairy tales look real , we cry while reading character’s sadness , feel inspired by a success story and want to fly like a super hero. I don’t write for success ; success is momentary – I learned that in last decade ; and I am not sure what success in blogging serves in life ; but trying to win a competition is worth the effort when I see my thoughts twinkling from the words! “It’s just a start!” – they declare. I believe , any competition is healthy when we try, try harder to compete with our own self . Life is good when present is better than the past , you are better than your former self , and words keep creating magic in a mundane world. Previous Post A Zesty Monday..kind of! I love a good name story. I love words. I think having an analytic mind lends itself to good essay writing (and I really enjoyed this one about words and competition). Congratulations on Trifecta! I was not familiar with it until today, so I will have to go check it out. I am totally overwhelmed by NaBloPoMo and email; so, it wasn’t until today that I found Erica’s email from last week about small groups. (I wrote my post before I found her email.) Anyway, sorry I haven’t visited sooner. I will be following you the rest of the month. Before this, I chose bloggers randomly off the grid (found a few very good blogs). Thank you , Nadig. Your blog is awesome and I’m so glad that through Trifecta I found so many like-minded people like you ! I read your stories and they’re fantastic ! Someday I ‘ll write about this thing , you know , how feelings ,words and language have no connections! Last week, I was listening to Ghazal , reading “Casual Vacancy” and some words touched my heart ; I was not sure which ones – ghazal or Rowling’s descriptions! 😀 I , sometimes, feel , knowing one language is the best! But , then , look how versatile our thoughts become when we enjoy so many words of different languages! I’m happy to have you on my WordPress list . A big thank you! Congrats, in a world of rejection its nice to shine. Enjoy!! I will toast that!!! Words rule! Congratulations, Archita! 🙂 I’m so happy for you! Thank you for the support and love, C.K. 🙂 I knew you would be happy! Very very inspiring write up for writers , bloggers from another world ! One has to compete with the self to become better .Congrats , Archita! You deserved the winning spot ! Many congratulations for your well deserved win. Your entry was fabulous. Thank you so much ! I’m happy to find your blog in blogging world. I share your love for words. Congratulations on the win! Here’s to many more..